2nd KAUST-ANSYS Workshop on "ANSYS Based Engineering Applications Using Shaheen II"
The KAUST Supercomputing Core Laboratory is co-organizing with ANSYS and their channel partner for the Middle East, Fluid Codes, a one-day workshop about ANSYS based engineering applications using Shaheen II on Thursday, February 8, 2018. ANSYS is a leader in developing engineering simulation software. First KAUST-ANSYS Workshop was held at KAUST on April 16, 2017. In addition to KAUST participants, large number of participants from Saudi Industry and Universities participated in that workshop. You can find more details on that event here. The objective of this workshop is to engage industrial partners, and to educate engineering students. Jose Ramon Rodriguez is the Fluid Codes Technical Manager since January 2015. In his previous work, Jose Ramon has been working for the last 5 years as an application engineer in ANSYS Inc, in the French and Spanish offices. During his experience in ANSYS, Jose Ramon has performed 100+ FEA & CFD ANSYS simulation analysis, as well as participated in the ANSYS Field Testing Team for improving the ANSYS software during more than 3 years. During the first 2 years of his career, Jose Ramon was an R&D Engineer in a Renewable Energy company in Spain and Italy, where he performed FEA & CFD simulations for solar plant machines. 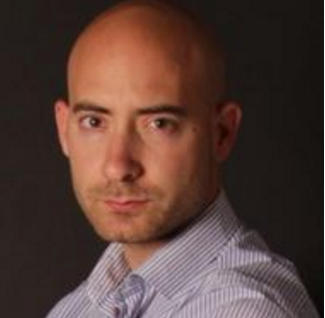 Jose Ramon holds a MSC degree in Mechanical Engineering from the Technical University of Cartagena (Spain). 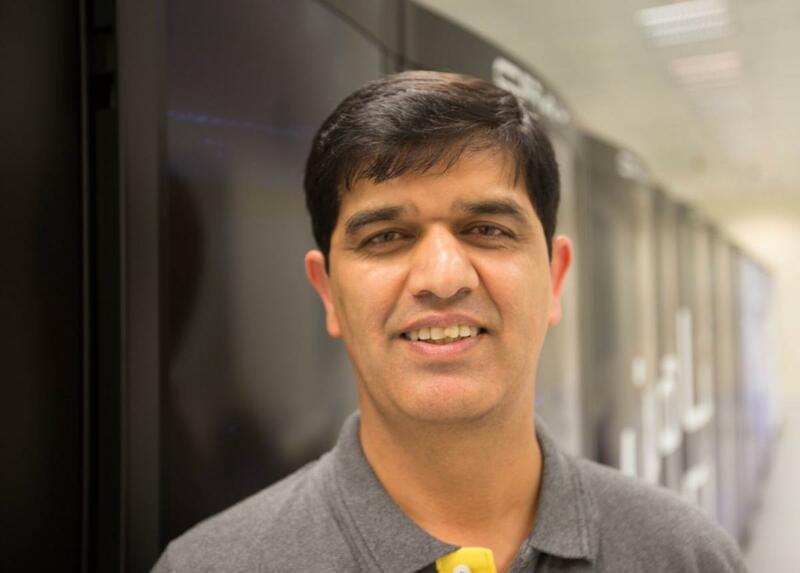 Rooh Khurram is working as a Staff Scientist at Supercomputing Core Lab at KAUST. He has conducted research in finite element methods, high performance computing, multiscale methods, fluid structure interaction, detached eddy simulations, in-flight icing, and computational wind engineering. He has over 15 years of industrial and academic experience in CFD. He specializes in developing custom made computational codes for industrial and academic applications. His industrial collaborators include: Boeing, Bombardier, Bell Helicopter, and Newmerical Technologies Inc. Before joining KAUST in 2012, Rooh worked at the CFD Lab at McGill University and the National Center for Supercomputing Applications (NCSA) at the University of Illinois at Urbana-Champaign. Rooh received his Ph.D. from the University of Illinois at Chicago in 2005. In addition to a Ph.D. in Civil Engineering, Rooh has degrees in Mechanical Engineering, Nuclear Engineering, and Aerospace Engineering. 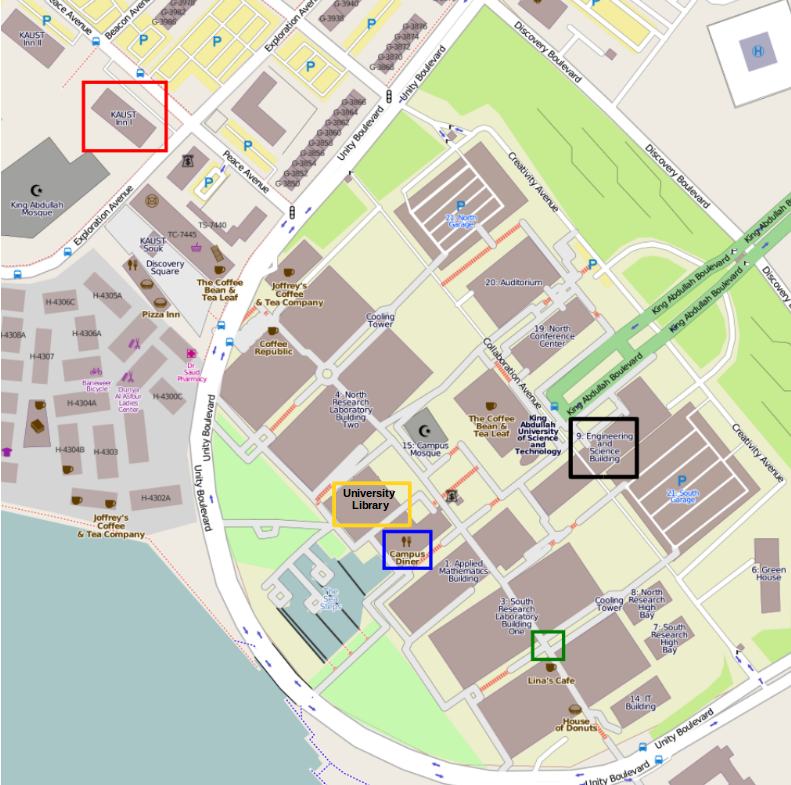 All lectures will take place in the Computer Lab Room, located at Level 3 of the University Library (yellow square).